Louisiana Pine Snakes, which are the most attractive in the ˜pituophis genus, are similar to other snakes in the pine genus. These snakes, which are wild, subsist in areas surrounding Bienville Parish in Louisiana. These snakes have reddish-brown or brown blotches against their black background; the adult Louisiana Pine Snakes have an average maximum length of fifty-six inches and a minimum length of forty-eight inches. 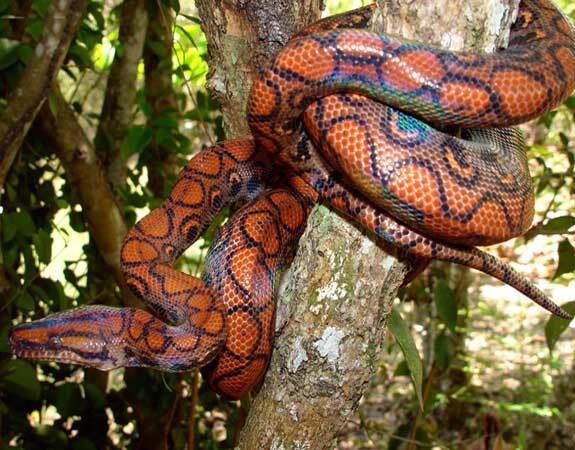 The greatest length ever recorded was seventy inches; a person discovered this snake in the eastern region of Texas. 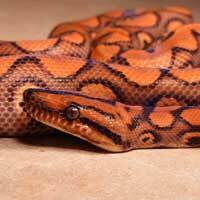 The heads of these snakes resemble that of an egg and their bodies are slender. They have brown bands running across their bodies and this makes them appear louisiana pine snake large unique. Louisiana Pine Snakes live in pine forests that have bushes around them. Deforestation of such forests risks the survival of the Louisiana Pine Snake. Although it is possible to hold these snakes in captivity, one is required to be a seasoned keeper because they are very aggressive snakes. They also prefer areas that have deep sands and very long pine trees. Louisiana Pine Snakes are quite elusive as they lead subterranean lives; this makes it very hard for people to capture these snakes. They rest in places where chances of them being troubled are small such areas include bushes and hollows in trees. When disturbed, they spit and may bite due to their aggressive nature. These snakes like to nest in areas that are heavily sandy and shaded. Female Louisiana Pine Snakes lay about a dozen eggs, which vary in size; the largest egg recorded measured five inches long. When the female snakes lay large eggs, they are normally fewer than when they are smaller; the female snakes hatch the eggs after three months. Out of the dozen eggs, a few may not hatch in such a case the snake becomes extremely aggressive especially when one tries to take the egg.